“It’s like an IMAX experience before IMAX,” said Jim Bogan, an emeritus professor of art history and film at Missouri S&T. Bogan spent eight years in the late eighties and early nineties producing “Tom Benton’s Missouri,” a half hour film about the Neosho, Mo., native’s mural. 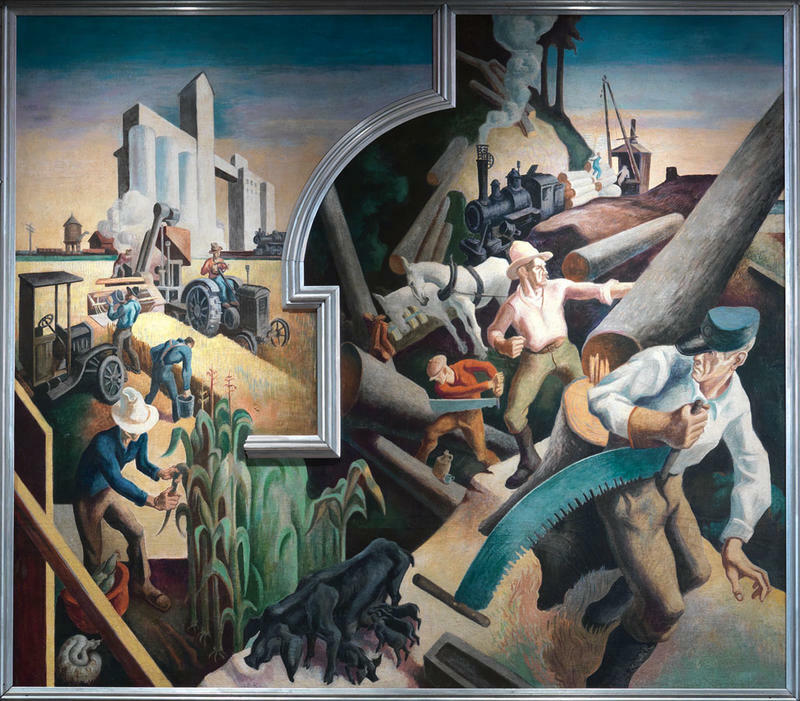 Benton was the leader of the Regionalist art movement in the first half of the twentieth century and is seen by many, including Bogan, as one of America’s foremost muralists. He also mentored and taught the famous abstract expressionist Jackson Pollock. Even with such a resume, Benton was rarely talked about outside of Missouri over the last several decades. “In fact, it was regarded as a bad career move to focus on his work,” said Henry Adams, a professor of art history at Case Western Reserve University in Cleveland who has written multiple books on Benton. This was the prevailing view of Benton when Adams organized a major exhibition of Benton’s work at the Nelson Atkins Museum in Kansas City in 1989. “One art critic described it as the worst exhibition he had seen in 40 years,” Adams said. That view has started to change. “I do think that the acquisition of 'America Today' by the Met is a momentous event because basically you have this painting by Benton who's an artist whose work you couldn't see very easily and that's now become kind of one of the central things in the Metropolitan Museum, in itself sort of a tourist destination,” Adams said. “Modernism has opened up quite a lot which allows a figure like Benton to come back into the storyline in a way that’s more historically accurate,” said Randy Griffey, an associate curator of modern and contemporary art at the Met. 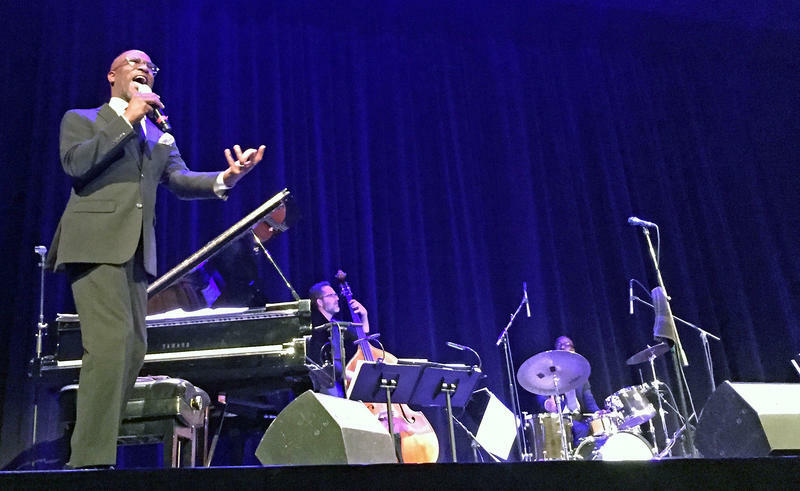 In addition to the exhibition, The Met commissioned the Orrin Evans’ Captain Black Big Band, a 10-piece New York jazz ensemble, to produce a musical suite inspired by Benton’s mural, which the band performed in Columbia on Thursday, February 4. Benton’s resurgence goes beyond the Met. 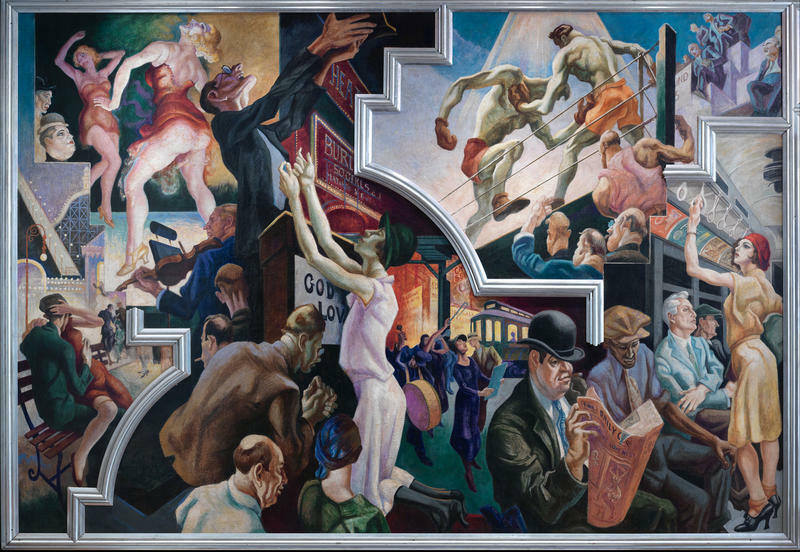 Even though Benton was seen as a political reactionary during much of the twentieth century, the social issues he raised in his work are also drawing people’s interest. “He is looking into issues of class. He's exploring race,” said Joan Stack, art curator the State Historical Society of Missouri. Stack said Benton was an outlier in his day for even including African Americans in his art. “He's somebody who, if you will, saw African Americans when other people weren't seeing them,” Stack said. “He's really the first American painter to extensively show African Americans as sort of an integral part of American society,” Adams added. Stack and Adams both said that Benton’s representational style and his interest in political and social issues are more in line with what today’s artists are interested in than the abstract expressionism that dominated the second half of the twentieth century.